I keep all of my iTunes music stored on a Drobo attached to an Airport at home. This frees up valuable space on my laptop and lets me listen to it via Front Row on my TV as well. It’s a much more convenient solution all around. The only problem is that I lose access to my music when I’m on the road or at work. I’ve seen other services or 3rd party apps that let you stream your music online. They work well enough, but I’ve always thought it silly to pay for a feature that iTunes used to have. In honor of iTunes’ new 8.0 release this morning, here’s my simple workaround. First off, you’ll need a Mac at home with iTunes open that is always connected to the net. In my case, that’s a Mac Mini in our living room. 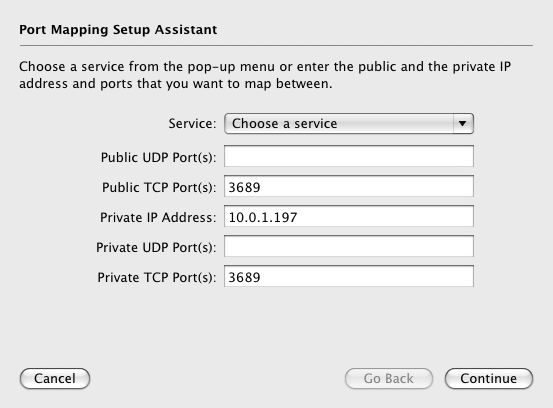 It also needs to have “Remote Login” (ssh) enabled in System Preferences → Sharing. Then, with that done, anytime you want to listen to your music elsewhere, run these two commands in Terminal on the Mac you’re listening with — not your Mac at home. That creates an iTunes Bonjour broadcast notification locally which points back to your Mac at home. In other words, it tricks your copy of iTunes into thinking there’s a Mac nearby sharing its iTunes library. When iTunes tries to connect, the traffic is automatically rerouted to your other Mac. Sidenote: if you don’t have the mDNSProxyResponderPosix command installed on your Mac, I have download links at the bottom of this post. To speed things up a bit, I’d put those two command into a shell script and place it in your ~/Library/Scripts folder. I call mine music-tunnel. That way, you can run that one command and have everything up and running automatically. Here’s a binary download of the mDNSProxyResponderPosix command for Intel. Place it somewhere in your path. And here’s the source if you’d like to compile it yourself for PowerPC. This entry was posted on September 10, 2008 by thall.